Written on back: "Thought maybe when you looked at this it would make you cooler - I am in Deuels talking to Susie. I am using her pencil. I am in front of an electric fan. Its great in here - we will be doing what they are on the card soon - and there will be complaining about cold." Is part of the Edgar T. Scott Postcard Collection, Jones Library Special Collections. 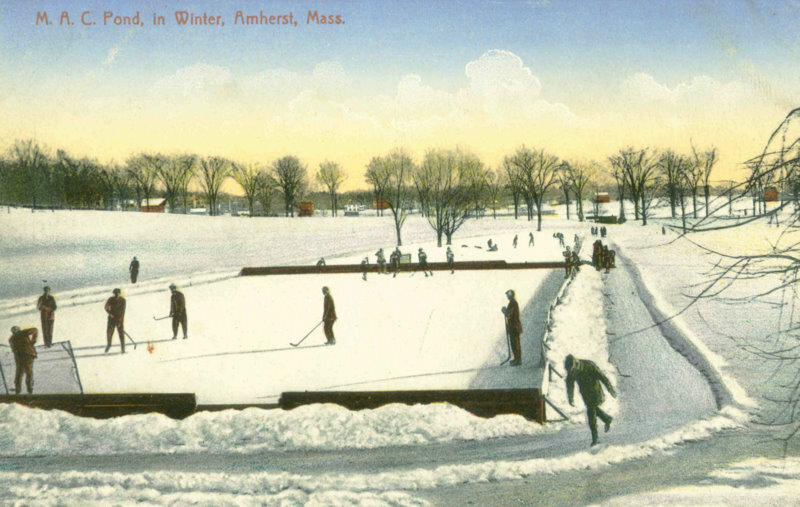 Scott, Edgar T., 1858-1940, “Ice hockey at Massachusetts Agricultural College,” Digital Amherst, accessed April 23, 2019, http://www.digitalamherst.org/items/show/879.